Are you struggling to build your mailing list? Everyone says you need one and you know it is important but for whatever reason, there are any number of other things you would rather be doing. Selling a whole lot of stuff! But that is not working so well either, is it? And ultimately, your business, whatever it is, is not going anywhere at the moment. 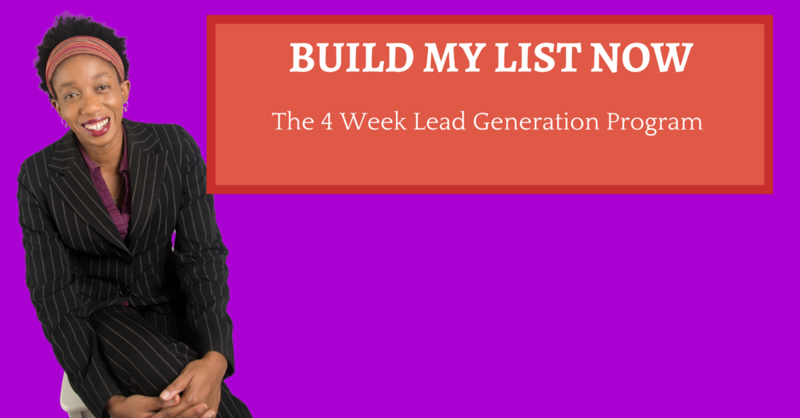 BUILD MY LIST NOW – The 4 Week Lead Generation Program. Did you know that unless you have a mailing list, then you are leaving money on the table? Did you know that unless that list is growing each and every day, your pool of prospects is growing smaller and smaller each day and the chances are that it is only a matter of time before you have no business at all. Your mailing list is your true asset. This is where most of your profits are going to come from as you stay in touch with people who are interested in hearing from you. I know there is Facebook and LinkedIn and all those other places where maybe, if they let you today, you can stay in touch with your people but none of them are as reliable for the delivery of your message as your own email list is. You could wake up tomorrow and you would have been kicked off any of these places because you put the wrong word somewhere or even worse, for no fault of your own and with no explanation, they can just change their algorithms as they try to generate more of an income for themselves. And in case you do not know it, you have NO CHOICE in the matter. It is their platform after all. So, again, surely you see it is essential to have people on your own backed-up mailing list. And how do you build this, you may ask? You build it by choosing to place your focus on it and doing the work to make it happen and that is where working with me comes in. Each week, you get the success module delivered via email giving you all the detail you need to take the next step in building a highly engaged list of buyers. Week 1 – The Basics – Set up the sales funnel that will collect all the contact details – Watch me as I set the whole thing up in front of your eyes. Mini videos showing you exactly what to do. Week 2 – Facebook Ads – Watch me as I set up a Facebook page, create ads and start sending people to my sales funnel – Copy my actions step by step to get the results you want. Week 3 – Bing Ads – Watch me as I set up my Bing Ads – See the difference and learn how to decide what will work for your business. Week 4 – Content Marketing – How to use content to set you up as an expert. How to use it to generate traffic to your site. How to create content over and over and over in a way that makes people pay attention and buy and in a way that is easy for you to keep consistent. BONUS! I added another two weeks to the program to make sure every area of the 4 modules was covered in full depth! It is powerful stuff indeed. In addition to this, you get to be part of the Deliberate Millionaire Fast Track Program which gives you access to the leading business growth expert, Rosemary Nonny Knight, to ask any questions and get individual coaching within the Facebook group online. You also get to take part in the daily ‘Live Life Deliberately’ livestreams which enable you to start your day motivated and ready to take on the world as you grow your business. So, are you in network marketing and trying to sponsor more distributors? Do you have a product that you want to sell? Or maybe it is a service that you want to provide? Well, this program is exactly what you need to make the generation of leads a lot more straightforward. 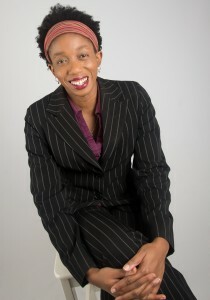 Hi, I am Rosemary Nonny Knight and I welcome you to my community of Deliberate Millionaires who choose to take control of their own business growth by not just learning all they need to progress but also working with a coach and a mastermind group to make sure they implement it all. I used to be a pharmacist but chose to take control of my life and my time and income by starting my own business. Firstly, I started a property management which within 18 months allowed me to replace my income and win a Porsche Boxster for being the Business woman of the year. This then led me to working with other professionals who wanted to make the transition too and also with entrepreneurs who wanted to get their businesses working and I have not looked back since. My property concerns continue as I build a property investment that continues to increase my financial independence and most of my working day consists of working with entrepreneurs to increase their financial freedom. So, to recap, as part of Build Your List Now, you will get the 4 success modules delivered directly to your inbox each week of the program. And you will also become a part of the Deliberate Millionaire for the duration of the program to ask any questions and take part in our monthly live calls. Growing your business becomes incredibly easy when you are part of a mastermind group that is all about taking you forward. So, if you are ready to increase the number of leads you influence each and every day, and if you are ready to grow a business you enjoy being a part of, click the button below and let’s get started.